Feeling flat? World-weary? Uninspired? Need a little oomph? Perhaps it's time to smear yourself in mud! Okay, that didn't come out right. TAKE TWO: Need a little oomph in your life? 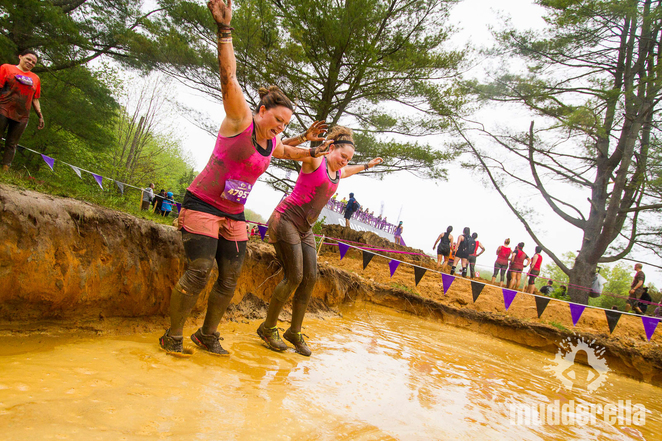 Time to crawl through sludge! Ugh, golly gosh. This ain't going anywhere, is it? Truth 1: You're stronger than you think you are. Truth 2: There's more to life than going to the gym. Truth 3: You deserve an awesome experience. 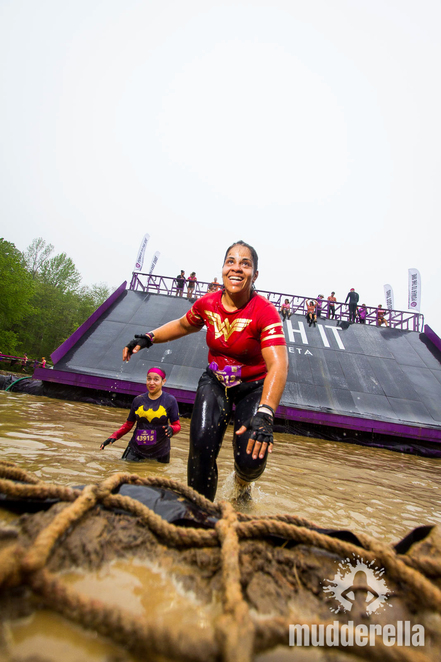 A global phenomenon, Mudderella comes sloshing into Melbourne in early November. But don't wait till then to get started. Now's the time, given the process of organizing teams (though, a team isn't requisite), plus you may wish to train (also not requisite). So though not compulsory, there's numerous benefits to participating in a team. For instance, matching outfits (men, don't worry, I don't think you're expected to wear miniskirts), and group discounts. 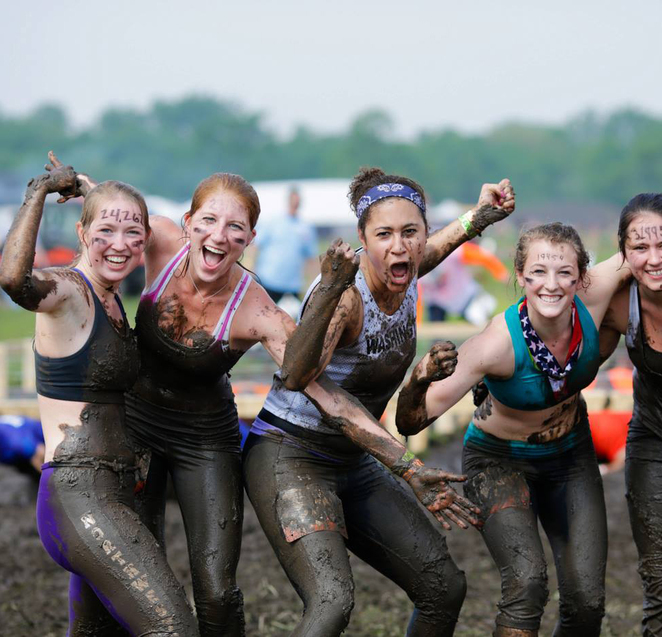 But don't feel obligated to organize a team, as you can join an existing one, or even head to Facebook and unite with newly-found Mudderella mates. There's a robust system in place, both in terms of pre-event and event-day routines. You may wish to check out the full rundown of what's involved - conveniently sectioned into: 1) TEAMS, 2) WHAT TO PACK, 3) ARRIVAL HOW-TO (scroll down to find them). But you don't have to compete to partake. You may wish to volunteer, or spectate. The Mudderella course comprises 12-15 obstacles, designed to test stamina and willpower (albeit, if you don't feel confident about an obstacle - especially if you can't swim - there's no penalties for bypassing). As you're grinding, grimacing, and growling, but most likely grinning your way through the grueling grunge, also beware the yellow-vested maniacs wielding midnight-black cameras. 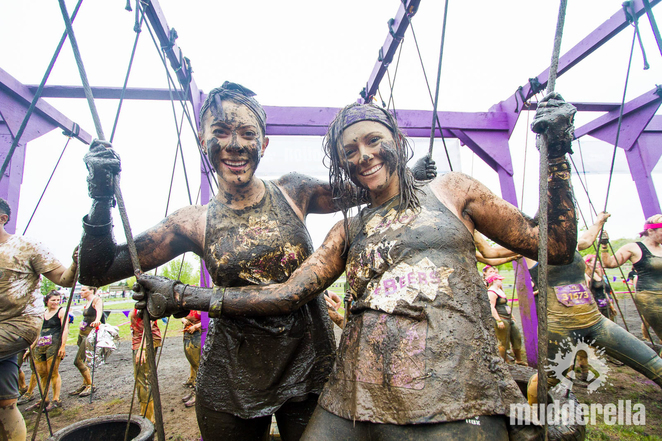 No, they're just paps taking snapshots - which can be accessed via the Mudderella facebook page after the event. You'll most likely be caked in mud, so ensure you pin your bib number to the front of your top - in case you are unrecognizable to the lens. And perhaps hunt down one of those pesky photogs if there's none around, so as to ensure you can showcase your fabulous dirt-covered smile on the Christmas mantel. This rare, quirky, but awesomely uplifting event is designed by women for women (so most likely, will be absolute bliss). However, this doesn't mean guys have been blacklisted. But rather, given it's aimed at women, guys can only join teams. So women, please be merciful. And blokes, I'm not responsible if you come home crying. id="ccblink" target="_blank" rel="nofollow">Click here to register. 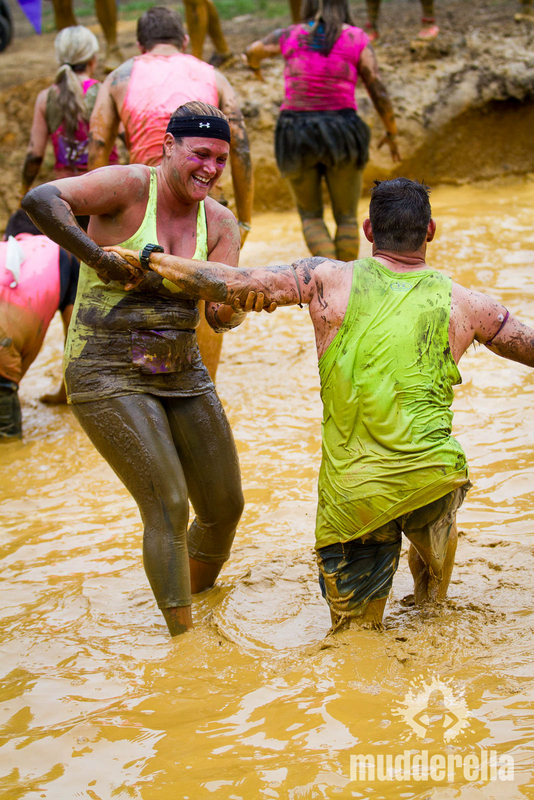 These muddy obstacle courses seem to be a bit of a trend at the moment. Not for me though, I'm a bit too old now (and certainly not fit enough). This event sounds like fun Chris. I wonder if the mud is good for your skin. I might join this event next year. True, Gayle - except about being old.